Changing character appearance and character customization in Red Dead Redemption 2 Online are one of the many mechanics in the game. They allow you to customize your Red Dead Online character appearance. This is fairly central in any online game, considering that you’ll want other players to see you in all your glory. Or, you know, as a complete misshapen monster, if that’s what you’re into. So, our Red Dead 2 Online How to Change Appearance – Character Customization guide will show you how to change and customize your character appearance in Red Dead Online. How to Change Character Appearance in Red Dead Redemption 2 Online? 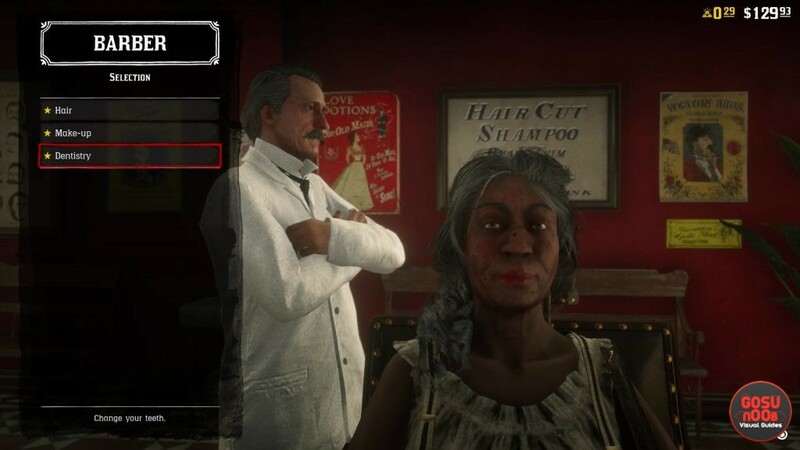 To change your character appearance in Red Dead Redemption 2 Online, you have to find a barber. There are several of them strewn about the world, including one in the north of Saint Denis. Once you find a barber, you can change several aspects of your character’s looks. For women, you can change your hair, makeup, and teeth. So, it stands to reason that for men, you can change your hair, facial hair, and teeth. That might seem like not much, but it can significantly change your character. For example, you can not only change your character’s haircut, but also your hair color. The makeup for women goes into a lot of detail, including blush, eyeliner, lipstick, and so on. Each one of them goes into the nitty-gritty to a surprising degree. Plus, you can basically regrow teeth that you opted not to have at the start. Now, of course, there’s the matter of cost. Every change you decide to make costs money, and some of them even cost Gold Bars. If you want more info on that, check out our Microtransactions & Currencies Explained and How to Get Gold Nuggets guides. This, however, is the limit for your character customization. You can’t change your facial features, or skin color, or anything like that. It’s limited to haircuts and hair color, teeth, and facial hair / makeup. If you want to change more than that, you’ll have to create a new Red Dead Online character.